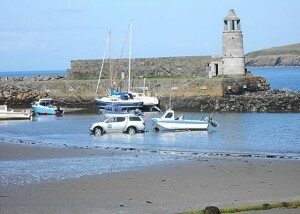 Book your holiday at Rosebank Holiday Cottage in Port Logan, South West Scotland. We are now booking for 2018 and 2019 holidays at Rosebank Holiday Cottage. Our introductory prices start from £370 in low season, £450 in mid season and £575 in high season based on a 7 night holiday. We welcome 2 Lrg or 3 Sml pets at a small extra charge of £10 per pet. to book your next holiday by the sea. You can also join us on Facebook. Short breaks can be arranged subject to availability. Please contact us for details. Click on the map to find Rosebank Holiday Cottage in Port Logan, Dumfries and Galloway, South West Scotland. For Sat Nav purposes our postcode is DG9 9NG.